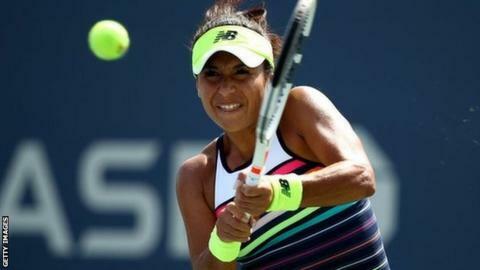 Britain's Heather Watson beat Yanina Wickmayer 6-2 6-1 in just 64 minutes to reach the Luxembourg Open second round. It was the 25-year-old's first main-draw tournament win since Wimbledon. Watson, ranked 81 in the world, converted all four of her break points and won more than half the points on her opponent's serve. She will next face Estonian third seed Anett Kontaveit, who beat her when the pair met in April's Biel Bienne Open. British number three Naomi Broady also reached the second round, after qualifying as a 'lucky loser'. She beat sixth seed Tatjana Maria 6-2 6-2, losing just five points on serve. The world number 49 is Broady's first top-100 scalp since June.